BSL Offshore Containers is one of the fastest growing manufactures of offshore containers and equipment in Asia-Pacific. 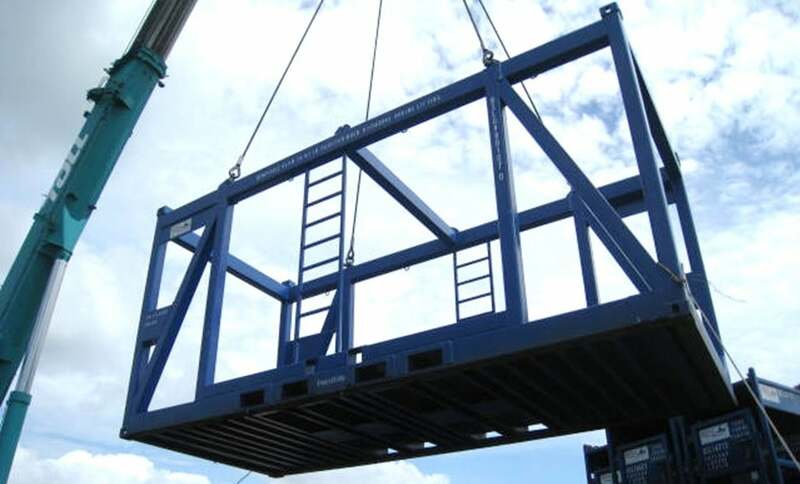 BSL delivers high-quality offshore container units with fast turnaround times, and an exceptional service. With our expanding warehouses in China, Singapore, Malaysia, Thailand, Myanmar, Korea, New Zealand, Australia, Netherlands, US, Indonesia, and Western Africa. BSL Containers has an experienced and professional team to supply offshore containers and equipment to a number of oil and gas companies. Our dedicated team of quality assurance professionals works hard to ensure all containers meet the same high standarsd we have become known and trusted for. Maintaining the quality of our containers and upholding customer satisfaction is what we focus on most. At BSL, we do our best to identify and reach customers globally, as well as offer technical consultancy, quick after-sales and customer solution services. Customer satisfaction and experience are always our major priorities. BSL offers quality offshore containers rental service or even costumed containers sales service to meet the unique needs of each customer. We believe our seasoned sales team and the products’ availability can offer customers not only the prompt and professional service, but the best containers solution. All BSL Offshore containers are built in accordance with DNV2.7-1 and EN12079-1 standards. BSL supplied offshore containers are marked for offshore use and arrive complete with a full material trace report, load test and NDT Certificates, and DNV 2.7.1 certification/EN 12079. BSL mini offshore containers are widely used in oil and gas industry for transporting equipment, tools, food to oil rig platform. BSL dry goods offshore containers are extra heavy-duty. They are designed for transporting large volumes of goods and equipment, while withstanding the harshest environments in offshore operations. Oil and gas companies have used our dry goods containers for conversion into offshore laboratories, workshops or equipment control modules. BSL provides a wide range of standard and customised cargo baskets. BSL cargo baskets are used to transport tools, drill pipes, scaffolding, tubular casing, hose and bulky items. BSL half-height offshore containers are open-topped and can be covered with tarpaulins for adverse weather conditions. It is designed to transport over-height goods, pipes line, tools and equipment. BSL open-top containers are designed to transport bulky items, machinery, cables, construction equipment, ore and mining materials. Open top features can help for removing debris as well. BSL workshop containers are designed to be used as cabin office, offshore accommodation, laboratories, workshops and equipment control modules. BSL offshore reefers containers provide consistent chilled or frozen temperature for transportation and storage. The units are equipped with brand new carrier Thinline 69NT40-541-402 machinery. Both the container box and machinery are fully reconditioned along with undergoing stringent magnetic particle inspection (MPI) / load test. BSL provides a comprehensive range of offshore containers to meet any industrial need, with solutions customisable if required.